Young tabby siblings MukMuk and Sammy have just joined us at CatCuddles, along with their stunning, all-white mother Haiti. This small family from nearby Woolwich, SE18 were surrendered earlier in the week as their owner, a single parent, felt unable to cope. They had a significant and quite visible parasite infestation upon arrival and were promptly treated for worms and fleas at our collaboarting vets. 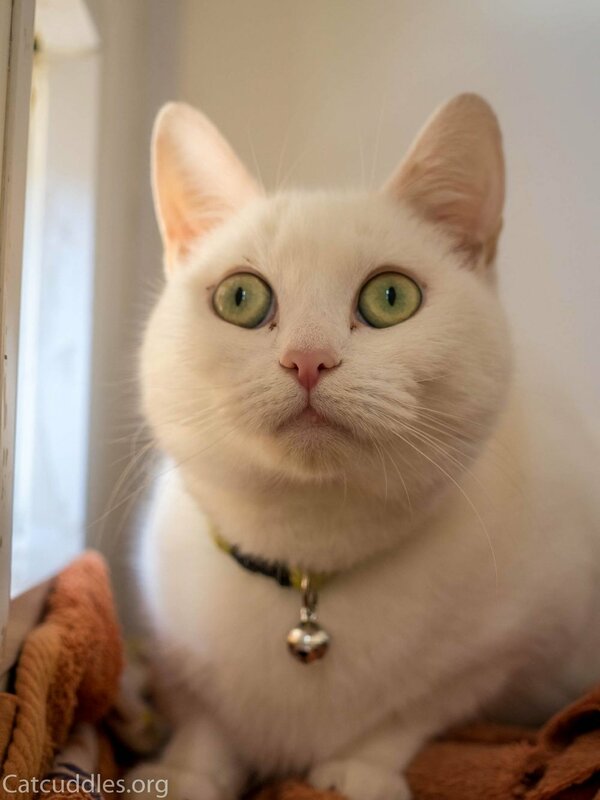 It is also suspected that two year old Haiti may be deaf, not unusual for a white cat, though we will know for sure only with further veterinary assessment. As is often the case for cats that wind up at CatCuddles or other charities in their first years of life, mum Haiti was originally purchased on Gumtree. And as is equally commonplace for cats sold in this way, she was unneutered and inevitably became pregnant, not once but twice. Her first litter were handed over to a charity, who inexplicably neglected to ensure that Haiti was neutered before taking on the kittens. Consequently, within a matter of months the situation had repeated itself. MukMuk and Sammy arrived in the next litter, along with a third kitten who escaped and was killed by a car. Due to problems relating to domestic violence, the trio's owner was forced to move to a flat, and felt overwhelmed and unable to care for them in the smaller space. 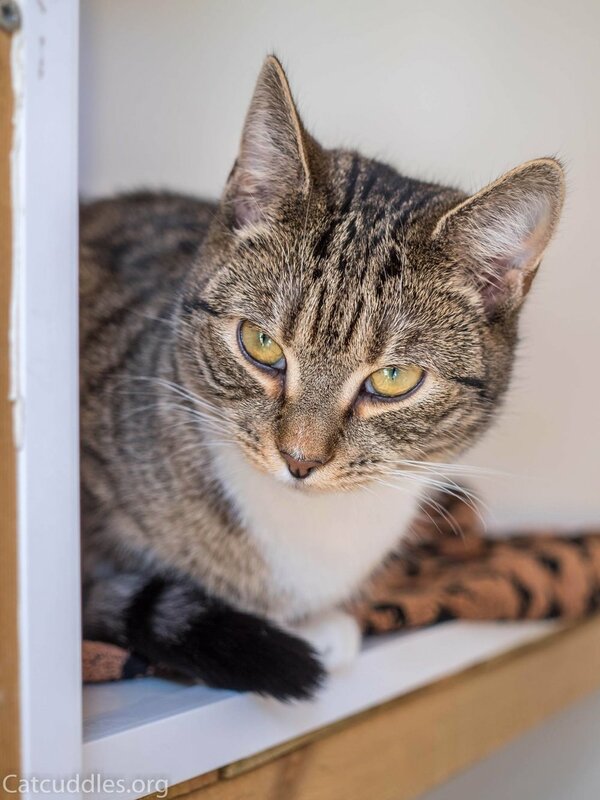 She tried several charities who were either "not currently doing any rehoming" or were "full and couldn't help", before finding us. We are surprised that none at least offered to neuter. This distressing chain of events may be shocking to some but is sadly very familiar to us. Among the biggest threats to feline welfare in the U.K are a lack of awareness about neutering and the online sale of companion animals. Thankfully, for these three at least, the damaging cycle that is a reality for millions of cats worldwide has been broken. All are now neutered and facing a safe, happy and healthy future in loving, permanent homes.